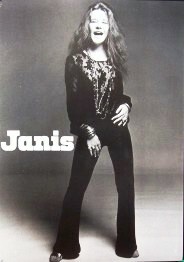 Nice B & W shot of Janis standing. This poster measures approximately 24" x 36". Officially licensed Janis Joplin merchandise.